We all love strawberries—and most of us don’t need to be told how to eat them. But as so often is the case, there’s more to discover beyond the surface. For instance, you may already know that strawberries aren’t actually berries (or nuts...they’re aggregate accessory fruit! ), but do you know why? What about how to pick the best ones from the market? Or the proper way to hull them? Maybe you’re just interested in 3 new fantastic strawberry recipes to add to your arsenal, or want to learn new flavor pairings. We’ve got you covered there, too. So, why aren’t strawberries berries after all? It comes down to the seeds. Unlike berries, strawberries carry their seeds on the outside rather than within. In fact, each strawberry holds around 200 seeds on average! Each of these seeds (or achene) is actually one of the ovaries of the fruit’s flower, holding a seed inside of it. The color can be deceiving as well, since different varieties of strawberries come in varying shades of red. And bigger isn’t always better—strawberries are often more concentrated in flavor when they’re tiny. And, as a general rule of thumb, the more fragrant the fruit is when you buy it, the better it will taste. When you slice one open, be wary of strawberries that are mostly white inside—or worse, hollow. The more space there is inside for air to circulate, the faster the berries will grow moldy and rot. Those with less air space retain their flavor and color much better. Don’t fall victim to the common strawberry pitfall—cutting away more of the strawberry than you need to in order to remove the cap. Take a look at our handy How To video below to see 2 ways to hull a strawberry effectively! We so often limit ourselves to pairing strawberries with cream, meringue, cake, ice cream, or chocolate. 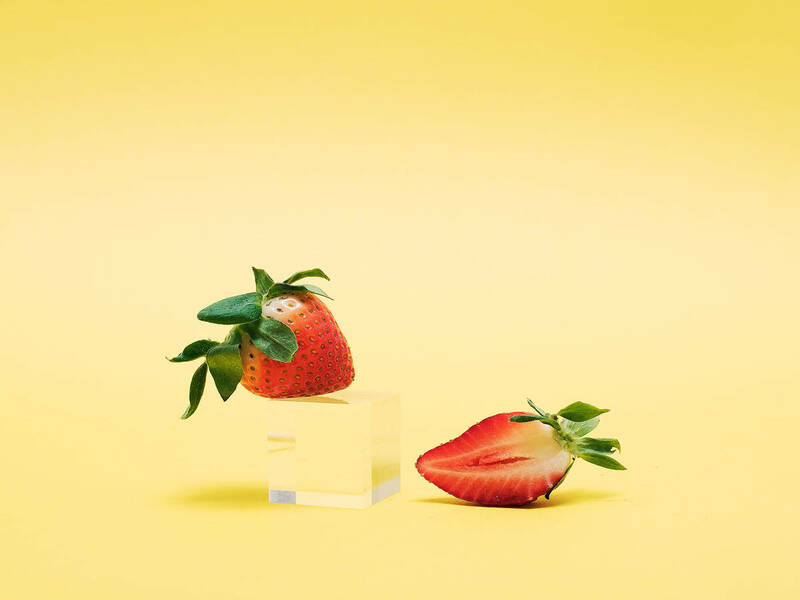 But there is a whole world of possibility out there when it comes to strawberry flavor pairings. Try one of our suggestions below, and see for yourself! What are you making with your farmers’ market haul this week? Tell us in the comments or upload a picture of your creations for all to enjoy!